Looks like we made it to the other side. Feels good, doesn't it? Well, many lives were lost in 2011. But yet we are still here. We must never forget to thank God for that. Right. Now that we've put things in proper perspective, let's get on with it. My sole resolution last year was to find time for reading books. This was due to the fact that I found myself reading 2 to 3 books a year, when I knew I should be reading 2 to 3 books a week. The thing is I've always been highly selective about what I read, only reading books by authors that I absolutely adore, or those highly recommended by friends and family. But even then, I always found it difficult to create time in my erratic schedule (schedule? what schedule?) for reading them. I got a John Grisham book for my birthday once that took me well over a year to get around to reading. Thankfully, this is no longer the case. This past year, I read just shy of 30 books, which is a nice jump from the 2 I read the year before. So I guess that resolution was well met. This year's resolution is along similar lines. This year I plan on setting aside time each day for writing. I feel this is important because up until now, I'd only written when I could no longer bear not to, and this was typically at the expense of prior commitments. But ever since reading On Writing by Stephen King this past year, I can clearly see the folly in such an approach. Besides, its about time I make the transition from aspiring writer to actual writer. After all, three of my books are currently on Amazon. And what better way to meet this year's resolution than to align it with some very interesting goals. 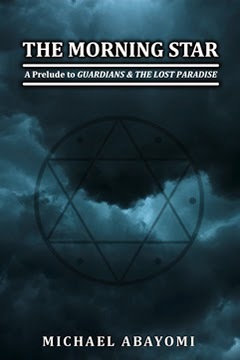 It's a series called Guardians and the Lost Paradise, and I have been working on it (on and off) since December 2006. 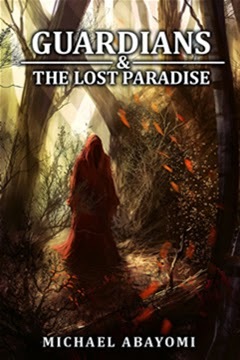 It is a YA fantasy about a boy named Daniel, who dies in a car accident, but awakens in a mystical land called Eden, where the forces of good and evil are engaged in ceaseless battle. The story was originally conceived following some introspection: we had just experienced a death in the family and I found myself thinking about the afterlife. I started writing without really knowing where I was going, but quickly found that a tale of epic proportions was gradually being birthed. I finished the first part of that epic tale around July 2007, making sure it ended with a solid cliffhanger. Over time, I saw the need for at least six subsequent parts, the third of which I completed early last year. Had to take a rather disruptive time-off to put that part down, but I'm glad that I did. My original plan was to query agents with these three parts (pitching it as a first volume to a possible trilogy), and I was only going to go back and write the remaining four if the story sold. 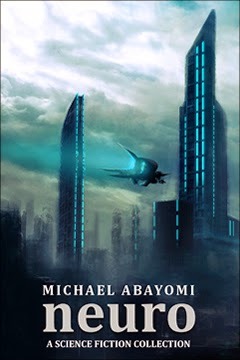 But following a series of revelations, I decided I wanted to have the entire story done and published sometime before the 21st of December, 2012, you know, before the Mayan calendar runs out of days. Obviously this goal is very much dependent on the previous one. But since I've at least written three of the proposed seven parts, I'm fairly optimistic about getting it done. And the only way to ensure that the books are out there within the twelve-month time frame is via self-publishing. With traditional publishing, the earliest I can hope to see it in print would be 2014 (and that's assuming I'd snagged an agent on my very first query, and he/she had sold the manuscript almost immediately). But by then we'd all be too busy swimming in a black hole somewhere. I did pretty much all the work for my current titles. This time around, I plan on enlisting some professional help: editing, cover design, the works. Formatting I can still handle on my own, since I do have a deep understanding of HTML, being a web developer and all. But the editing I know I won't be able to bear: it sometimes felt like I was close to the point of insanity whilst self-editing my current titles. As for cover design, I know I'll definitely be hiring a professional. Worst case scenario, I'll shop around for some premade covers. My final goal is in no way dependent on either of the previous two. In other words, whether I get to complete the stories or not, or the books go viral (and I end up selling truckloads) or I fail to sell a single copy, I'll still be content with the knowledge that I gave it my best shot. So long as I had some fun along the way. Because that's why we're doing it, right? That's why we write. Because we love what we do. So what do you think? Is it a bit too ambitious, or perhaps not much of a challenge? I'll be chronicling my progress towards these goals over the next few months. So be sure to check back every now and then. comment. be sure of yourself this year. Make sure you are on the right team for positive change. Paix. Thanks Chris. I have a good feeling this year is THE year. Thanks Sarah. Gearing up as I speak.